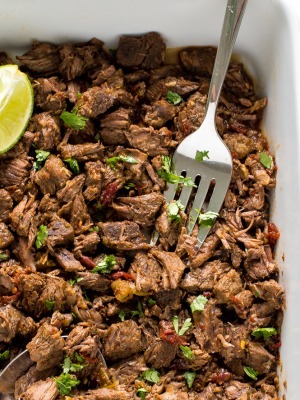 Super Easy Slow Cooker Mexican Beef. Cooked low and slow for 8 hours until fall apart tender! 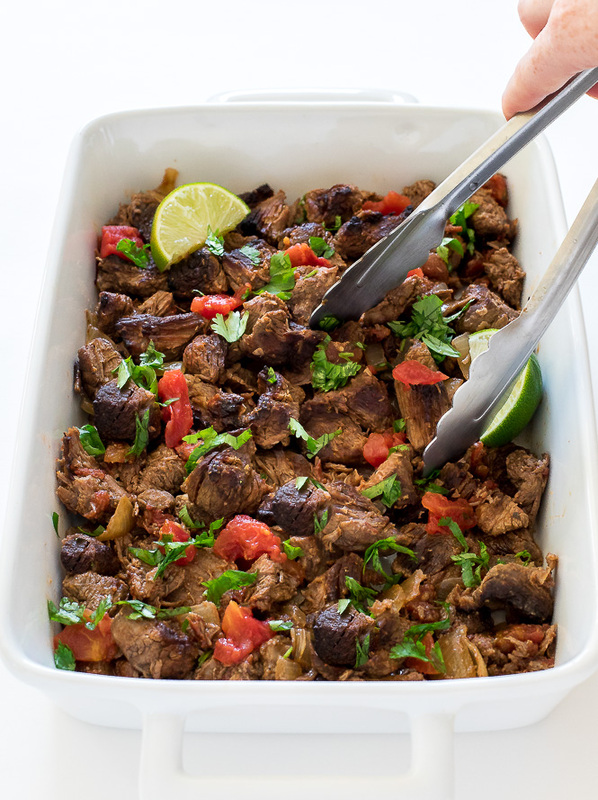 This Slow Cooker Mexican Beef is loaded with flavor and is incredibly tender! I flavor the beef with fire roasted diced tomatoes, beef broth, lime juice and spices. It is the perfect topping for tacos, enchiladas, burritos you name it! It’s super easy to prepare and makes for an easy dinner. I cook the beef on low for 8 hours until it is fall apart tender. After the beef is done cooking I remove it from the slow cooker and shred it. 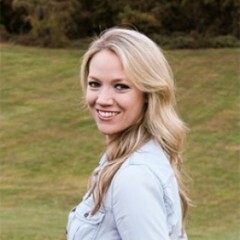 I pour the juices from the slow cooker on top and let it rest for 10-15 minutes. This allows the meat to soak up all of the juices and flavor. I also like to place the beef on sheet pans and broil to crisp it up. This is totally optional. I think the extra step of broiling is totally worth it. 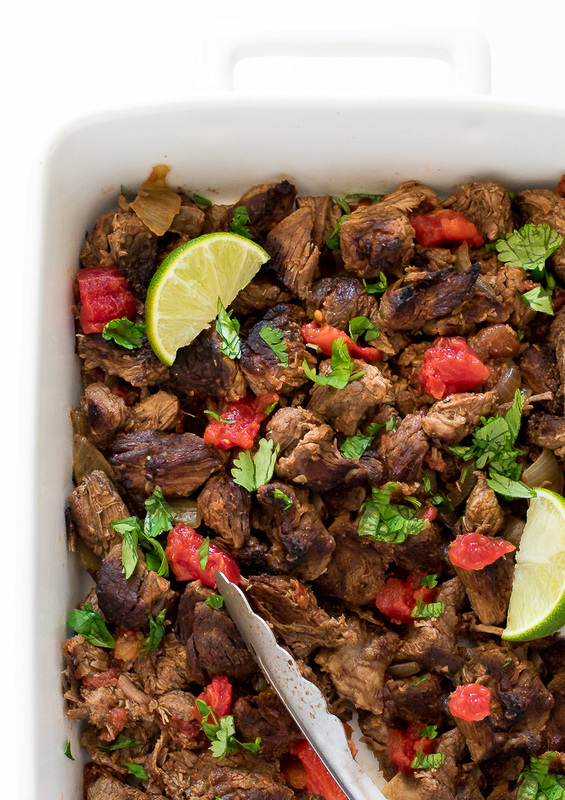 Serve this Shredded Mexican Beef on tacos, burritos, burrito bowls, or with rice. Anyway you serve it is amazing! Season the chuck roast with salt and pepper. Add it to the slow cooker along with the rest of the ingredients. 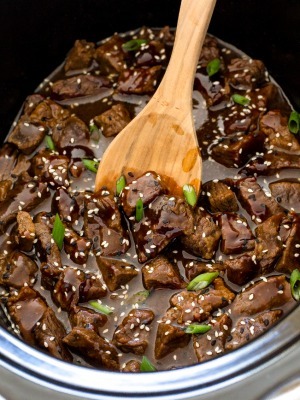 Cook on low for 8 hours or until the beef is tender and shreds easily. Take the beef out of the slow cooker and shred. Pour some juice ontop and allow it to rest and soak up the extra juice. 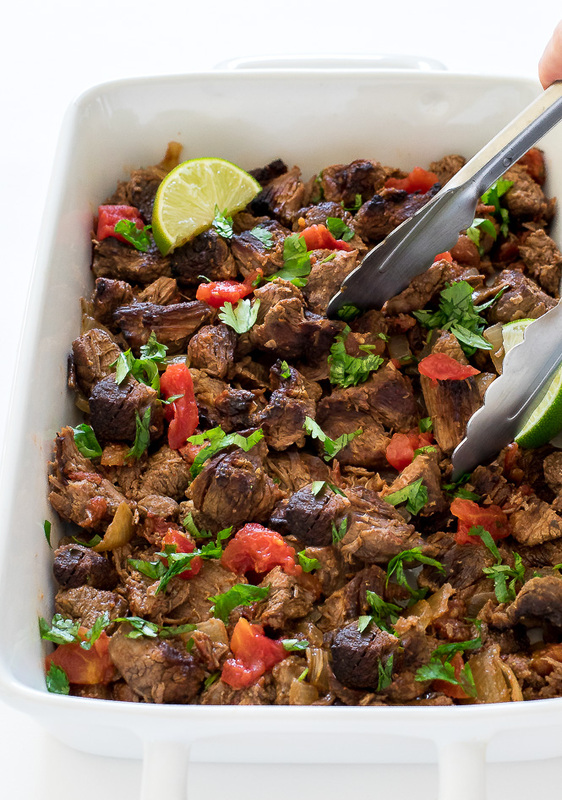 Serve with a sprinkle of cilantro and lime wedges for serving, if desired. Optional: If you would like to crisp up the beef place it on a baking sheet in a single layer with some of the liquid from the slow cooker. Broil for 5 minutes toss and broil some more until crispy.